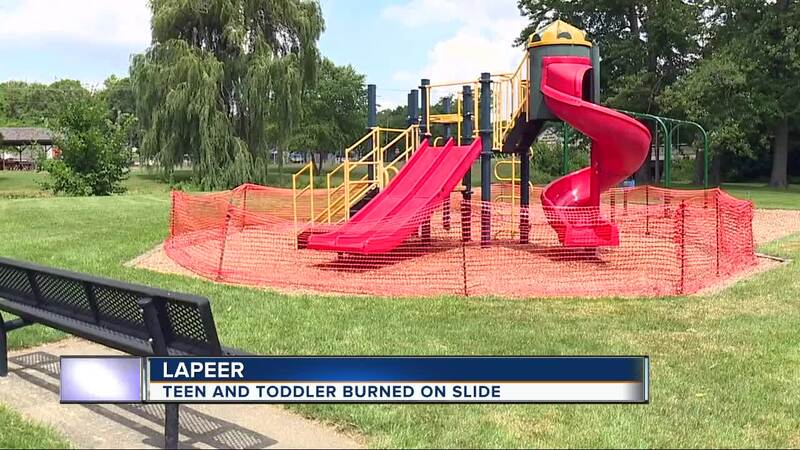 The Lapeer Police Department said two kids suffered chemical burns from a slide at a park in Lapeer on Thursday morning. 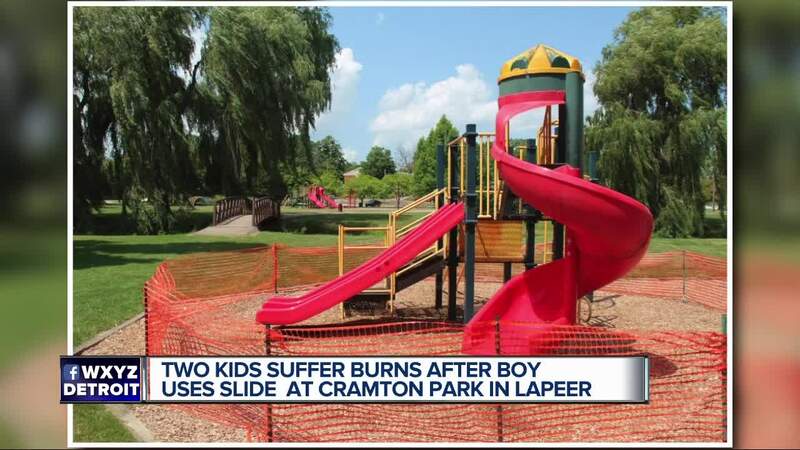 According to police, the 1 1/2-year-old boy and a 14-year-old girl were taken to McLaren Lapeer Hospital for what were burns caused by an unknown substance. Police say the 1 1/2-year-old had contact with the substance while playing on the slide at Cramton Park on the south side of the river. When the 14-year-old was helping the child, the substance transferred onto her and injured her. The young child was treated at the hospital and then transferred to Hurley Medical Burn Unit for further treatment while the 14-year-old was treated at McLaren Lapeer. Currently, the playground is closed, and all other playground equipment at the park and other city parks were checked and cleaned with no other substances found. Cramton Park will remain closed until further notice.